Modern hotels, resorts and restaurants are no longer the cookie cutter designs of the past. Unique architecture, integrated technology and security are no longer considered luxuries, but essential parts of the customer experience. IroncladCE is experienced in all phases of hospitality construction including planning, design management, preconstruction, construction and day-to-day management. Our team of contractors and consultants have the expert knowledge to solve problems that arise during construction through creative solutions and a flexible management approach. Delivering projects on time and under budget through value engineering is our top priority. Industry experience and a deep understanding of the unique needs of the hospitality industry is what sets IroncladCE apart from our competitors. Historic renovations, expansions, boutique hotels and new construction projects all across Southern California adhere to our high standards of quality. Guests expect your hotel or resort to have the right technology. They want Wi-Fi, high-speed internet, and expect you to keep them safe during their stay. IroncladCE gets the job done right by bringing your wireless networks and telephone systems into the twenty-first century. We’re an experienced firm that specializes in modern information technology and the most innovative construction techniques. Completing your project starts with making contact. We’d love to talk with you about your requirements. There is no obligation, no pushy sales people, and no risk to you. We’ll do a free assessment and give you ideas on how our experts can help. 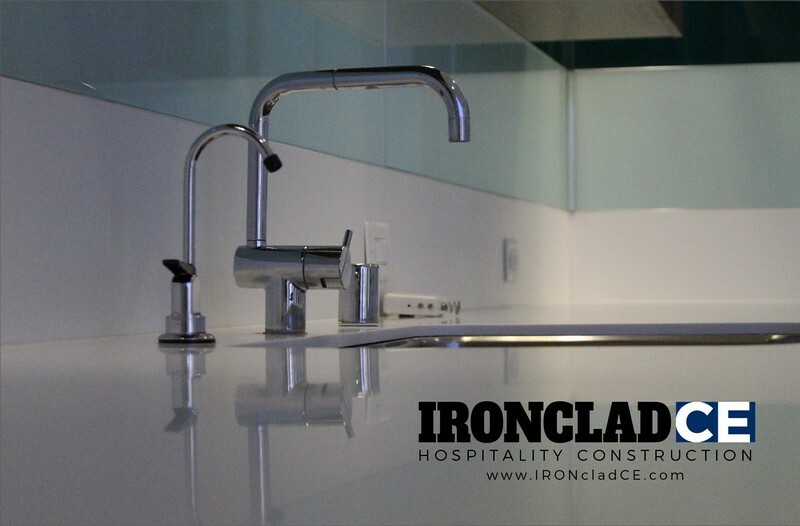 Contact us today at 858.558.8621 or read more about IroncladCE’s Hotel Construction Services.